Macquarie Valley Weeds Committee Inc. (MVWC) and Lachlan Valley Weeds Advisory Committee (LVWAC) are a regional network of Councils, Local Land Services and other stakeholders working together to improve weed management across Central and Western NSW. 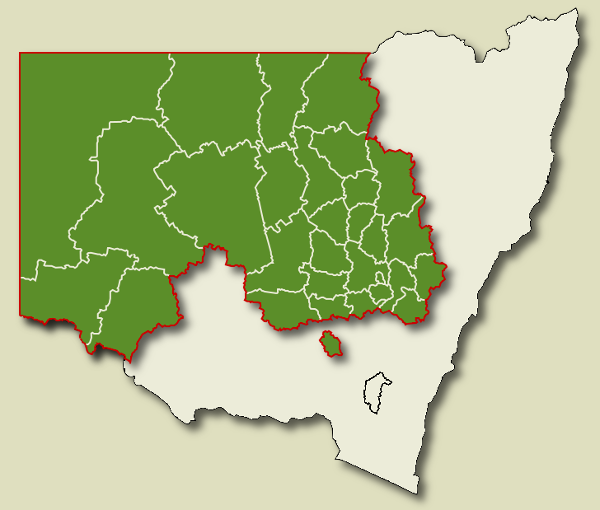 The committees cover an area of 450 000 sq kms or 55% of NSW and encompass the Central Tablelands, Central West, Western and parts of the North West and Riverina Local Land Services (LLS) regions. The committees are dedicated to controlling weeds to maintain agricultural, environmental and community health across the region. Click on your shire below to find out more about weed control in your area.